GRANBY, a village and a parish in Bingham district, Notts. 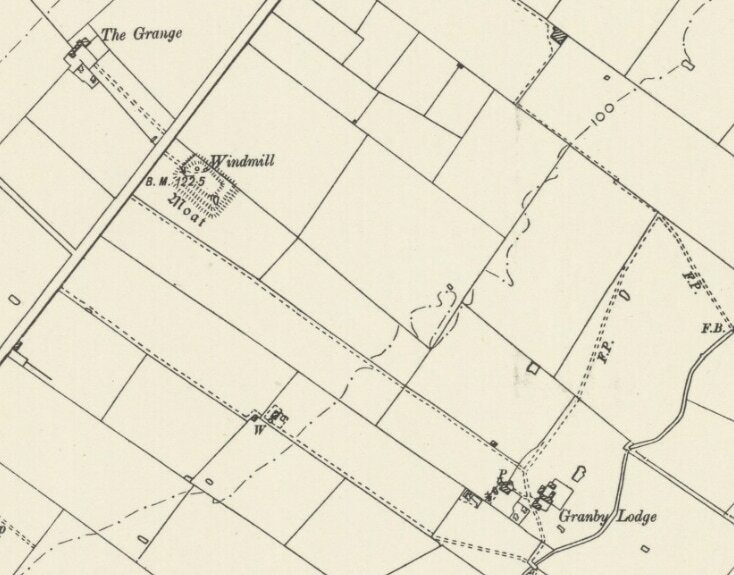 The village stands near the source of the river Devon, near the Grantham canal, and near the boundary with Leicester, 2½ miles NNE of Elton r. station, and 4 SE by E of Bingham; and has a post office under Nottingham. The parish includes also the hamlet of Sutton. ​Acres, 2,420. Real property, £3,721. Pop., 479. Houses, 108. The property is divided among a few. The manor belongs to the Duke of Rutland, and gives him the title of Marquis. Gypsum is found. The living is a vicarage in the diocese of Lincoln. Value, £123. * Patron, the Duke of Rutland. The church is ancient and tolerable; and has a tower. There are a Wesleyan chapel and a free school. Male and female occupations are shown here. This work is based on data provided through www.VisionofBritain.org.uk and uses historical material which is copyright of the Great Britain Historical GIS Project and the University of Portsmouth.